Coloring Without Borders: Renewing your U.S. passport from the U.K.
You can't be an expat without a passport. Well, you can be expat without a passport, but you're likely a criminal or on the run from the authorities. 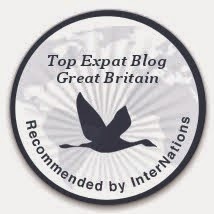 Let's agree that being an expat without a passport is inadvisable. (4) provide an inadequate photo for your passport; (5) have your passport renewal rejected paused while you fix the snafu; and (6) wonder if you'll get your passport renewed before the U.K. does something like, y'know, deport you. Fortunately, renewing your U.S. passport while living in the U.K. -- or living in just about any other country -- isn't very difficult. Just about any moron anyone should be able to accomplish it with minimal hassle. Before we moved to the U.K., we needed to get Jackson a passport. The only challenge we had was getting our toddler, who was not yet two years old, to pose for a passport photo without moving, or smiling, or crying, or squirming, or blinking, or being, in general, obstreperous. One set of dour photos made Jackson look vaguely like a toddler axe murderer. How hard can it be to stand still for three or four seconds against this white background, without a smile or pout or goofy face? Suffice it to say we actually provided two photo options for his passport application, with a cheerful note asking them to pick which one might pass muster. At the same time Jackson applied for his passport, Kate was due for a passport renewal of her own. She sent in her documents with his, and got her new passport without a hitch. Meanwhile, I waited to renew my passport. I still had nearly a year of time left before I needed to renew. And in the midst of all the myriad preparations for moving overseas, I figured I didn't want to add an extra task. It shouldn't have been a hassle for me to renew here in the U.K.; my snafus were self-inflicted wounds. Almost certainly, you'll be able renew your passport easily. 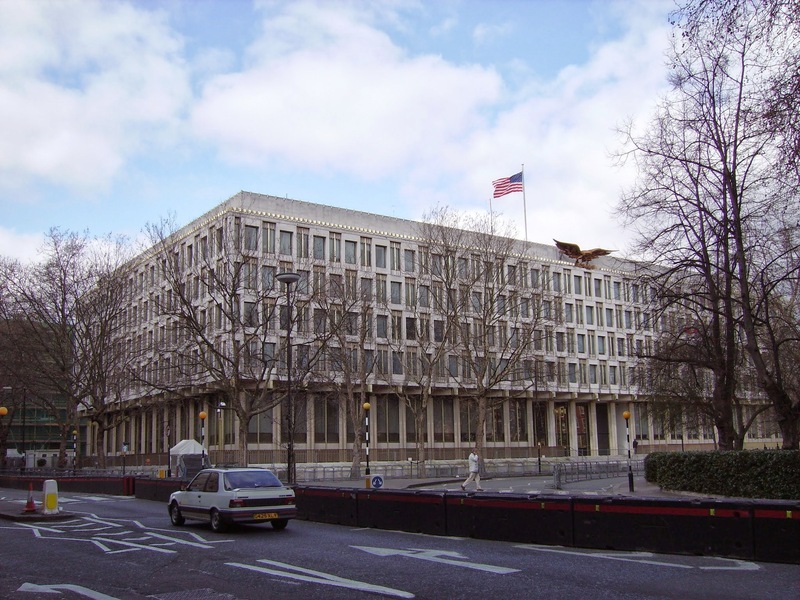 Look over the web site for the Bureau of Consular Affairs, a sub-agency of the U.S. Department of State. More specifically, take a gander at Applying for a U.S. Passport from Outside the United States. Generally, you're going to follow the instructions and procedures specified by the particular U.S. Embassy in the country where you reside. If you reside in the U.K., your passport renewal application will be processed by the U.S. Embassy in London. It will not be handled or processed by a U.S. consulate office, such as the U.S. Consulate General in Edinburgh, Scotland. Unless you are a minor under the age of 16 (in which case you will have an office appointment at a U.S. consulate or embassy), your application almost certainly will be renewed by mail. 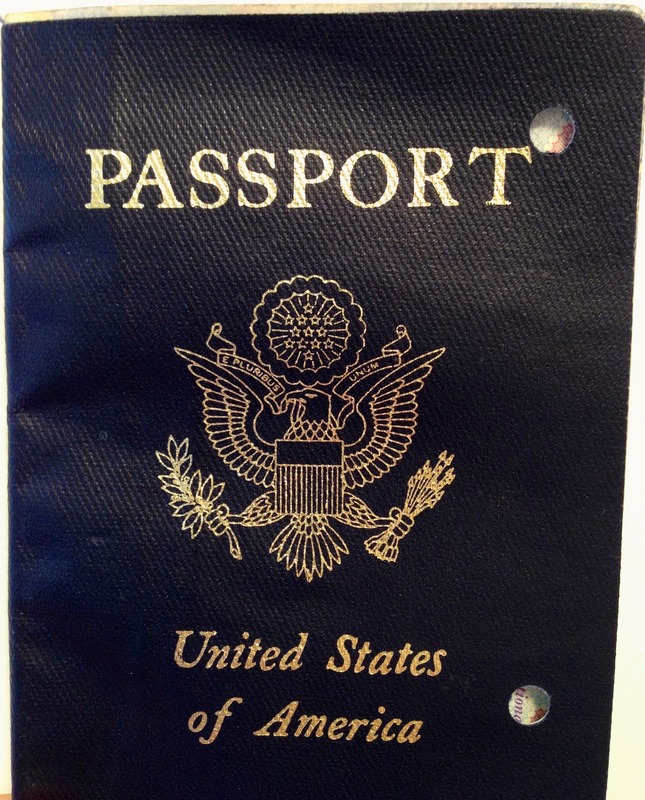 Your application must be renewed by mail if you have an undamaged U.S. passport; that was issued within the last 15 years; that has a 10 year validity; and either your name hasn't changed or you can submit documentation (e.g., a marriage certificate) proving the change. a nonrefundable application fee of $110.00, only in U.S. dollars (and not British pounds), paid by credit card, via a special form to be filled out. If you live in England, Wales, or Scotland, your passport renewal application must be sent to the U.S. Embassy via DX, a private courier service. If you reside in Northern Ireland, you must send your application via the Royal Mail's "Special Delivery" service. Follow all the directions provided, dimwit. All of them. For the DX courier service, you can contact them via their web page, or via telephone. I suggest telephone. After you make initial contact with DX, a person will call you back (usually a day later) to get your payment information and to arrange a day for picking up your documents. Collection happens within a few days. They'll initially give you an all-day timeframe, but you can request a collection either for morning or evening. Your application fee of $110.00 does not include the DX courier service, which is roughly £20.00 or so. 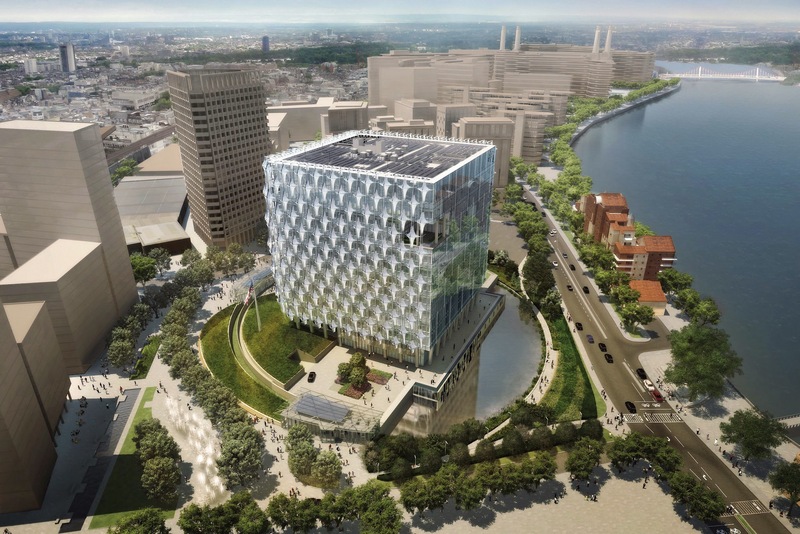 Delivery to the embassy is not necessarily speedy. My documents took several days to arrive at the embassy. Allow about four weeks for processing by the U.S. embassy. During this time, the U.S. embassy sends your photo to the United States for the creation of your new passport, which is then returned to the U.K.
DX will contact you to inform you that your application has been processed and it has documents to deliver. You will set up a time for DX's delivery of your new passport. Success! Congratulations, you have a new passport. What were the snafus during my renewal application? Two things. First, during the time my application was being considered, my credit card was cancelled by my bank because of a fraud alert, and a new credit card was issued. Apparently, the cancellation of my old credit card happened nearly concurrently with the embassy trying to process my application, and so there was nothing I could do about it until the embassy informed me they could not get payment. The second snafu was my fault. Simply put, my passport photo was not exactly 2" x 2". It was darn close, but not quite. I had my passport photo taken at a location (a Costco) specifically listed on the embassy's web site as an acceptable passport photo provider. When I received my photos, I did notice that they weren't quite square -- I'm not a math whiz, but I know the difference between a square and a rectangle. But I figured this officially suggested photo provider knew what it was doing, and that perhaps the photo requirements had a fudge factor, since they end up cropping the photo for your passport, anyway. In almost all cases -- at least for anything important -- I'm an indefatigable dotter of "i"s and crosser of "t"s. And then a rechecker, and a re-rechecker. I generally scoff at people who mess these kinds of things up. A few weeks after my renewal application, I received a gentle letter from the embassy explaining they couldn't process my application without a new payment form and a new photo. They attached a list of suggested providers of passport photos. I selected a different one (not Costco) and went the next day. Had my photo taken and provided by mail the following day. Called DX . . . and then waited for a week before they came to collect my documents. Grumble, grumble. At this point, I felt slightly nervous about having my passport renewed in time. But it was my fault; I would have to suffer the consequences. And then, a couple of weeks later, I got a call from DX and arranged to have them deliver the "documents." Success! Or, not a complete screw-up! There is a wrinkle, however. My U.K. visa was added to my old passport, and the U.S. embassy can't take the visa out and add it to the new passport. There is a process via the U.K. government to transfer the visa from the old passport to the new one, but we haven't explored that yet. I'm told it's not necessary, and I can just wait for my next visa to be added to the new passport. When we travel out of the U.K., I need to bring two passports, old and new. A very minor inconvenience. 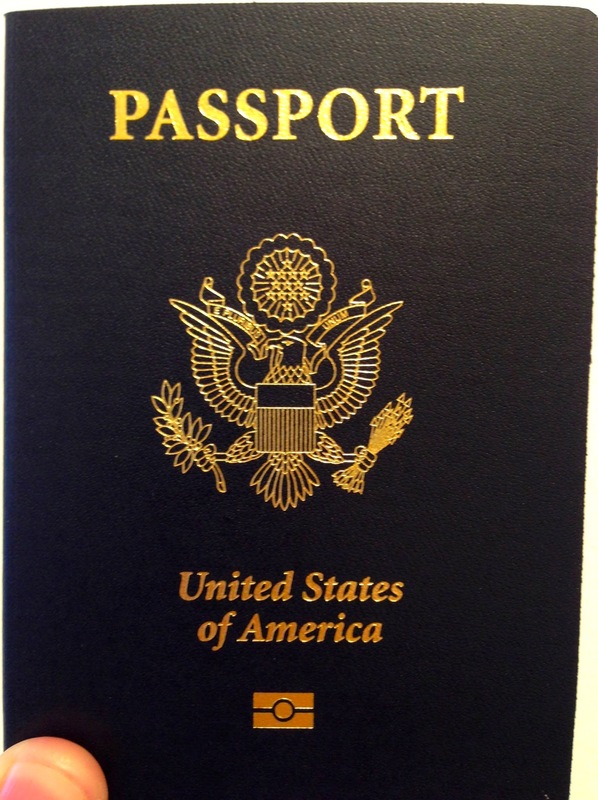 I have the utmost confidence you'll breeze through your passport renewal. You will carefully read all the directions, get an appropriately-sized photo, and submit all the necessary documents. Really, it's not a difficult task. Moral of the story: do as I say, not as I do. Isn't it terrific they're willing to rush passports for folks who need to travel? So very helpful. At least Mike had a good excuse -- his dog ate it! I didn't even have an excuse.